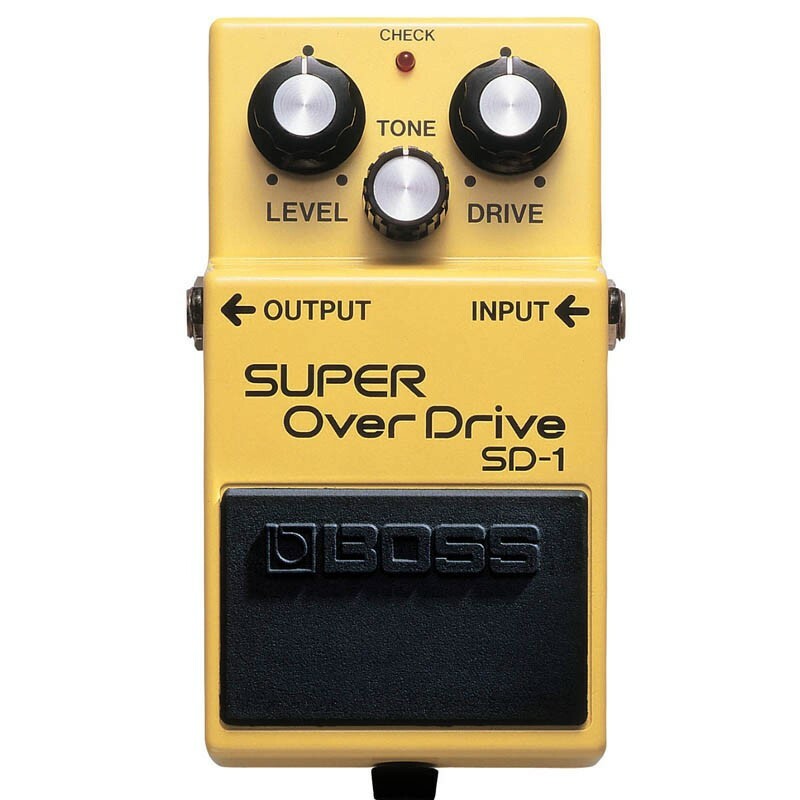 The Boss SD-1 Super OverDrive pedal is a warm sounding drive pedal for adding grit and overdrive to your clean tone, or boosting your distortion tone for lead playing. It produces the warm, natural distortion of an overdriven tube amplifier, maintaining the subtle nuances of a player's picking technique. The SD1 is one of Boss' more subtle and smooth overdrive pedals, and it is perfect for blues and rock players. The most popular use of this pedal is for boosting your level with a semi-clean tube amp, tipping it over the edge when you want that bit extra fuzz. This subtle boost technique is a great way to keep a very pure tube tone from your amp, while giving your sound a lift for lead breaks and for a 'bigger sound'. The time-tested Boss Compact Pedal design makes for an very rugged, road-ready pedal with simple but powerful controls for instant adjustment. Use the drive knob to get the desired amount of 'break-up'. Use the level control to get the desired amount of signal boost when the pedal is engaged. The tone control affects the amount of top-end bite, and when playing with a band this gives you greater control of your 'presence'. If you are looking for a heavy distortion pedal, this is not for you, but if you are looking for a subtle drive pedal for either solid-state or tube amps you will get very pleasing results. This is a great addition to any pedal board, and if you are a blues, rock or jazz player it may be the only pedal you need.